The Cape Hatteras Anglers Club is located in the village of Buxton on Hatteras Island (one of the Islands that make up the Outer Banks of North Carolina). In 1953, much of the Outer Banks of North Carolina, including portions of Hatteras Island, became home to the Cape Hatteras National Seashore (the nations' first National Seashore). This event brought about new economic opportunities in the form of tourism. The Cape Hatteras Anglers Club was formed in 1957 by 81 people for the sole purpose of stimulating tourism during the fall season. The founders of the Cape Hatteras Anglers Club sought to achieve this goal by hosting a surf fishing tournament. The tournament was such a success that it has been held every year and we currently have over fifty teams on the waiting list. Along with the continued success of the annual fishing tournament, the Cape Hatteras Anglers Club membership has grown--as of 1/1/2004 membership totaled 811 members and continues to grow. 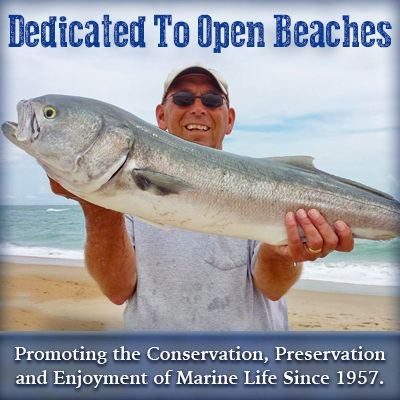 Similarly, the Cape Hatteras Anglers Club's mission statement has been refined and expanded so as to accommodate the wider variety of members being served by the club.